The ultimate guide to La Massana ski holidays. Part of the 63km Vallnord ski area, with a gondola setting off from the town centre and Andorra’s capital just 6km away – La Massana’s a quieter base than nearby Arinsal and families love it. The Andorran parish of La Massana is home to La Massana town, and slap bang in the middle of that town, a gondola connects to the slopes of wider Vallnord ski area. Part of the same parish and ski area, the village of Pal’s your closest neighbour, with Arinsal connected further along the valley. Mount Comapedrosa, Andorra’s highest mountain, looms over from a heady 2942m - looking down on the town’s mix of modern builds and pretty Romanesque churches. Holidays here aren’t quite as lively as over the mountain in Arinsal, making this a terrific place for families who want to ski all day and relax in the evening. That’s not to say there’s nothing going on – La Massana is known for its terrific collection of museums, shops and one of the only banks in the area. 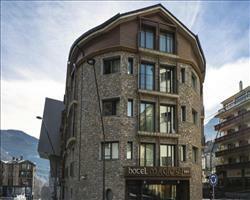 The country’s capital, Andorra La Vella, is only 6km away, for duty free shopping galore and the incredible Caldea Spa. View our detailed La Massana snow forecast or snow report and see all live webcams, piste maps, road and travel maps and lift pass prices. For a picture of historic snow conditions see the snow depths month by month with our La Massana snow history. Vallnord Ski School provide lessons for learners, improvers and every other level of skier and snowboarder. Escola Pal is the nearest to La Massana – kids can join their Snow Plus course while adults enrol in group or private lessons. The first slopes you reach in the Pal area are a gaggle of blues and greens, including easy beginner runs at the top of the mountain. Intermediates can take the Serra lift straight over to Pla de la Cot, where two red runs stream down to Els Fontanals. Zig zag your way across the valley and you’ll reach the Arinsal area, which features more testing terrain in the form of black La Capa. The Vallnord snowpark lies above Arinsal for freestylers – it’s maintained by ASP Snowparks for truly world class terrain. The Arcalis area in the Ordino Valley has fabulous off piste terrain – gullies, trees and bucket loads of snow - if you fancy hiring a guide and seeking out powder snow. Food-wise, we like Pizzeria Angelo on Av. Sant Antoni for Italian favourites. Henrik at La Borda Xica (near the Sant Iscle i Santa Victòria church) always recommends the best specials and wines. Cal Silvino on Av. El Traves is a good spot for simple set menus. For lively après ski, head over to Arinsal which has a reputation for some of the biggest and best mountain bars in Andorra. La Massana’s drinking scene is a lot more relaxed – most visitors stick to their hotel bars or stay on for an extra glass of vino after supper. Non-ski activities include exploring the town’s historical buildings and museums, or heading into Andorra La Vella for its incredible Caldea spa and duty free shops. When is the best time to ski La Massana? Across the Pal and Arinsal sector, there are around 300 snow cannons providing manmade snow on 28km on terrain. This is great if you’re visiting at the beginning of the season, as the cannons can form a decent layer on the slopes. In the Vallnord area, the north facing Arcalis slopes generally get the best snow conditions, making it the place to head if you’re skiing here at the end of the season. During the busy weeks, the fact that the lifts can carry 39,180 skiers each hour helps to thin any queues. Extensive snow cannon cover and a friendly mountain town make Christmas in La Massana great for families and anyone after a relaxing base to return to at the end of the day. If you want to start the new year on the slopes but not necessarily partying with the crowds in Arinsal, New Year in La Massana is the perfect compromise. We like Half Term in La Massana for a week of quality family time – less crowds than the other Vallnord resorts but the same great ski area. Families will love the laid back atmosphere in La Massana – make the most of the easy gondola access to enjoy the ski lessons and terrain in the day, then come home for good food, vino and restful evenings. Being part of the big Vallnord ski area makes La Massana a good choice for mixed ability groups who can split up to enjoy the terrain that suits them. 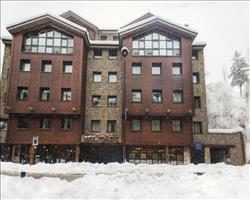 Non skiers are welcome too, with plenty of churches, shops, museums and spas to enjoy.